"Doe in Flowers" is an original pastel painting by the nature artist Cristolin. 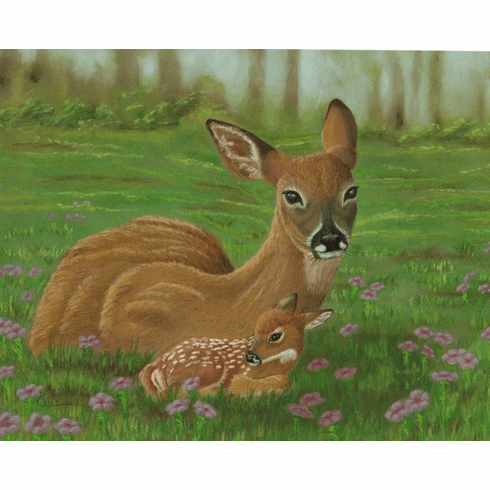 In a scene of quiet serenity, a doe rests with her tiny new fawn amidst a lush field dappled with lavender-pink flowers. The rich colors complement cabin and lodge d�cor.